Billions of dollars will soon be flowing to the Chan Zuckerberg Initiative as Facebook co-founder Mark Zuckerberg begins to sell off millions of shares in his company. In a Facebook post Friday, Zuck said that he anticipates “selling 35-75 million Facebook shares in the next 18 months to fund our work in education, science and advocacy.” That same day, Facebook’s stock closed at $170 a share, near an all-time high. Based on this valuation, some quick math reveals that CZI is looking at an infusion that will range between $6 billion and $12 billion. And that’s just a down payment on one of the largest philanthropic ventures in U.S. history. Zuckerberg’s net worth currently stands at $70 billion—a freakishly vast fortune that he and Priscilla Chan have said will be dedicated to the broad goals of “advancing human potential and promoting equal opportunity.” A correction in the stock market could shrink that wealth, but it seems just as likely that Facebook's stock will keep going up over time. Zuck is already in striking distance of becoming the richest person in the world. Yet since the couple first outlined their plans for philanthropy on a historic scale in December 2015, there’s been a lot of uncertainty about the timing of their giving, as well as the full range of issues they might tackle. The scope of issues that CZI will be working on has also come into sharper focus. Its most ambitious—and expensive—efforts are focused on medical research and its grandiose push “to cure, prevent or manage all diseases by the end of the century.” It’s also engaged in a proliferating set of education projects and collaborations, with a big focus on personalized learning. More recently, CZI announced $24 million in grants to back a public policy agenda that includes criminal justice reform and affordable housing in the Bay Area. Keep in mind that CZI is not a foundation. It’s hard to know how to classify this outfit, in fact. What we do know is that CZI’s hires and recent moves have underscored that it intends to pursue change in three ways: traditional grantmaking, investments in for-profit social enterprises, and advocacy that includes 501(c)(4) giving and political donations. 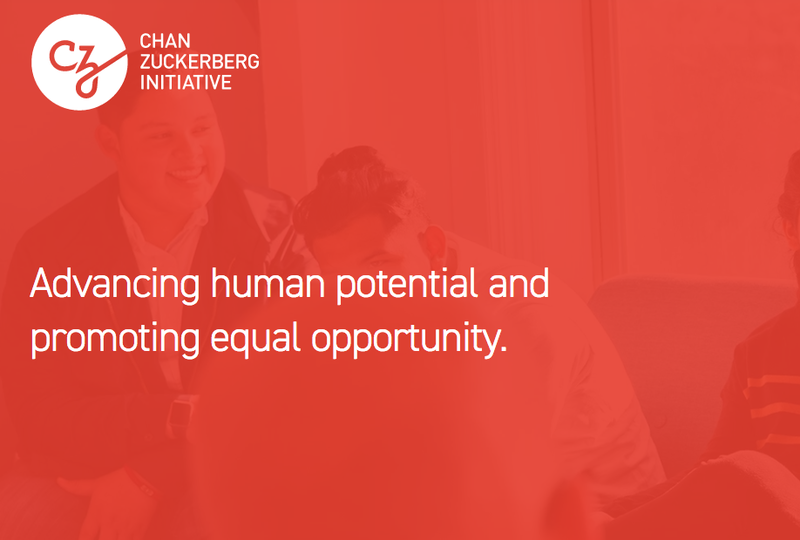 That’s a powerful trifecta, and with each passing month, it’s becoming clearer that Priscilla Chan and Mark Zuckerberg are intent on rapidly bringing to scale an organization that can work across a range of issues and sectors. With Zuckerberg’s announcement Friday, it’s also clear that CZI won’t face any near-term financial limits on its ability to keep ramping up. It’s worth remembering that in 2012 and 2013, Zuckerberg previously donated a total of 36 million shares of Facebook stock to a donor-advised fund housed at the Silicon Valley Community Foundation. At the time they were donated, the value of those shares was around $1.5 billion, and it's not known whether the shares were subsequently sold or when. (SVCF doesn’t release a list of its investment assets.) Regardless, that’s a lot of wealth that Zuckerberg has already deployed for philanthropy. As for what happens with the cash generated by the upcoming sales of Facebook shares, that’s not yet clear. Apparently, though, these funds will not be housed at SCVF, but rather someplace else. More details about this will emerge over time. Another question mark, here, is how much more CZI will expand its portfolio of issues—or how quickly. Is the plan to stick with the current agenda for a few years and drill deeper in each area? Or to plant more stakes in the ground, as CZI has recently done with criminal justice and housing? New philanthropists often feel their way forward, upping their investments as they learn from initial grantmaking and come to feel more confident. While today’s young tech donors are frequently cast as arrogant disrupters who charge ahead, that’s not been my impression from watching them closely. For example, at Good Ventures—the philanthropy of Facebook co-founder Dustin Moskovitz and his wife Cari Tuna—the strategy has been to move deliberatively, gradually making bigger grants based on learning, with a “bias toward giving as soon as we can,” as Tuna once told me. I suspect that Mark Zuckerberg and Priscilla Chan think in a similar way. CZI’s recent growth spurt aside, I don’t expect its billions in new assets to be deployed on any kind of rushed timetable—but rather when these funds can be used effectively.